-: I AM IN THE ARMY . 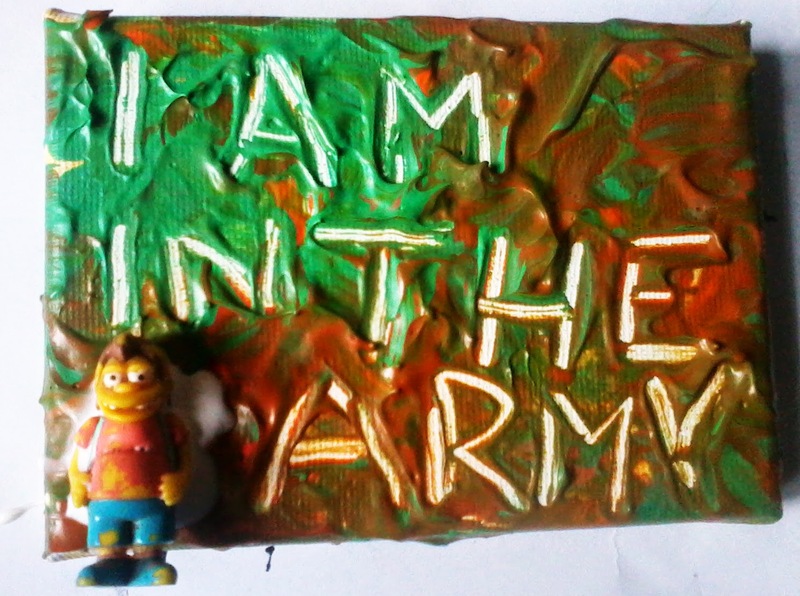 NEW PAINTING IS CALLLED -I AM IN THE ARMY . IT,S MADE OUT OF LEFTOVERS OF ACRYL COLOURS ,AND A TOY FROM KINDER SUPRISE . ON SMALL CANVAS . I ALWAYS MIX TO MUCH COLOUR SO I USE IT THIS TIME ON CANVAS .